Even the most seasoned traveler will find comfort in Copacabana Apartment-Hotel. The apartment-style accommodations of this 11-storey hotel in Pasay City are spacious and elegantly designed to let you to bask in tranquility, away from the hectic pace of the metro lifestyle. All rooms are cozy and well-furnished to cater to every type of guest. These are commonly fitted with cable TV, IDD/NDD phone, a mini-bar, coffee and tea maker, and plush beds. Select rooms have separate living and dining areas. Moreover, the hotel presents visitors with an array of superb facilities comparable to Manila’s most upscale accommodations, including an on-site restaurant, function room, business center, and swimming pool. It also has a tour desk, and offers airport transfers and visa assistance for those seeking support for their travels. 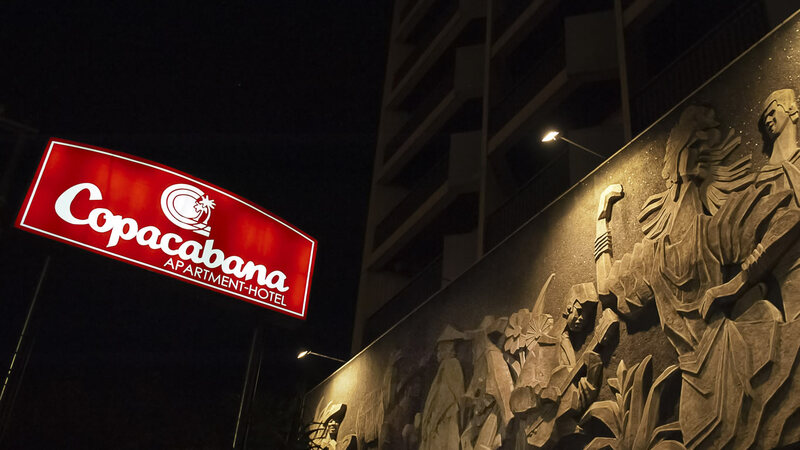 But beyond first-class rooms and facilities, Copacabana Apartment-Hotel provides an alternative to the usual hotel stay. You can count on over 3 decades of experience as one of the Philippines’ best hoteliers that grant you the best service and warm hospitality. Plus, with rates that won’t break the budget, Copacabana Apartment-Hotel makes for a truly ideal accommodation choice in Metro Manila.